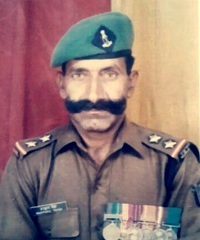 Subedar Harful Singh Kulhari was born on 2 June 1952 to Shri Bhagirath Mal Kulhari and Smt Zuma Devi. 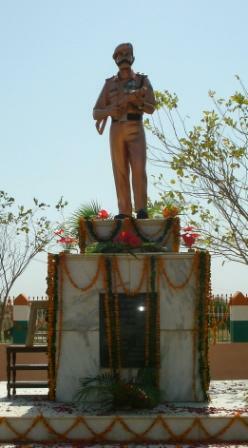 He hailed from the village of Triloki Ka Bas of Jhunjhunu District in Rajasthan. He did his initial schooling from the government-run school at Kollinda, located around 5 km away from his village. His family, being poor, could not afford his education, so Sub Harful Singh studied only up to the 8th standard and could not continue further. Always keen on joining the armed forces he applied for a job in the army without informing his family. Consequently he joined the Army at the age of 19 years on 4th August 1971. 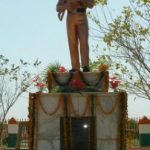 He was enrolled into 17 Jat of the Jat Regiment , an infantry Regiment well known for its fearless soldiers and various battle exploits. Sub Harful Singh got married to Sukani Devi on 10 May 1968 and the couple had two sons Praveen and Pradeep and a daughter Prem. By 1989, he had put in around 18 years of service and had experience of working in various operational environments. He got promoted to the rank of a Naib Subedar on 15th March 1989 and became a junior commissioned officer. Committed to improving himself, he also acquired a bachelor degree in science in 1999 from the Chaudhary Charan Singh Agricultural University in Hisar, Haryana. By April 1999, Pakistani forces among other hill features had also occupied Point 4875, in Mashkoh valley. The Mashkoh valley provided a possible route of infiltration into the Kashmir valley as well as into the Doda-Kishtwar-Bhadrewah areas of Jammu. 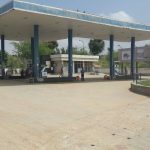 The Point 4875 dominated the Srinagar-Kargil-Leh national highway between Zozi La pass and Dras and had a strategic importance for the Indian Army. 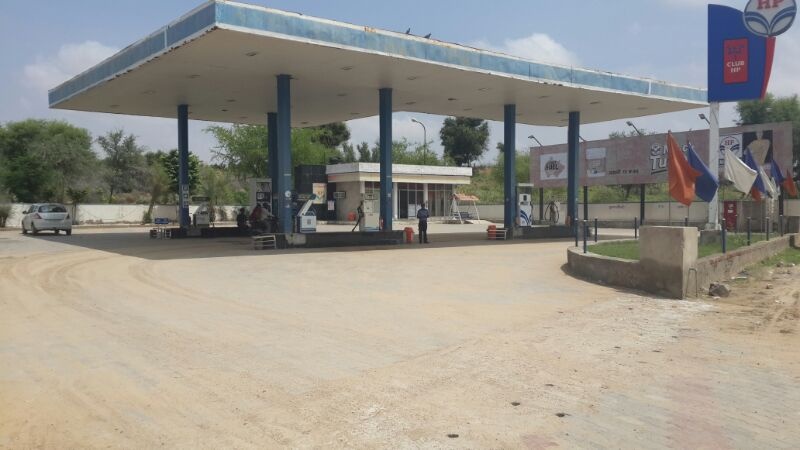 Those manning the Pakistani artillery observation post at Point 4875 could easily spot convoys moiving on the national highway and bring down artillery fire on them. This the clearance of Point 4875 became a high priority mission and the responsibility was given to 79 Mountain Brigade under Brig Ramesh Kakar. 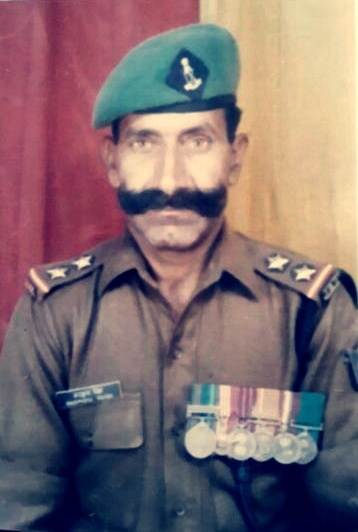 17 Jat battalion was inducted into the Mashkoh valley on 26 May 1999 under the command of Col Umesh Singh Bawa. The battalion was tasked to capture Point 4540 as a prelude to the capture of Point 4875. Sub Harful Singh was part of the team that was assigned the task of this operation. Sub Harful Singh along with his 38 soldiers set off for their objective as planned. The enemy forces were well entrenched and were keeping a close watch on the movement of Indian soldiers. By 4 AM Sub Harful Singh and his men had reached very near to the enemy bunker and when they were about 100 meters from the bunker the enemy soldiers launched the attack. Sub Harful Singh and his men quickly swung into action and retaliated forcefully. A fierce gun battle followed thereafter with heavy exchange of fire. Sub Harful Singh also got hit by a bullet in his arm but undeterred he kept firing at the enemy soldiers and motivating his men to repulse the attack. However Sub Harful Singh and his men were outnumbered and soon got encircled by the enemy forces. Sub Harful Singh got hit by two bullets on his head and three in the chest and collapsed on the ground. He was martyred but his soldiers inspired by his gallantry and courage kept up the ferocity of the attack . Eventually the soldiers of 17 Jat battalion managed to destroy the enemy bunkers and capture the given objective. The capture of Point 4540 was very important which eventually paved the way for the capture of the strategically significant Point 4875. Sub Harful Singh displayed courage and leadership of a very high order during the operation and laid down his life in the line of his duty. 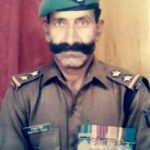 Unfortunately Sub Harful Singh’s body could be recovered 46 days after the operation on 14 July 1999 and he was cremated with full military honors on 15 July 1999. Sub Harful Singh is survived by his mother, Zuma Devi, wife Sukani Devi, sons Praveen & Pradeep and daughter Prem.